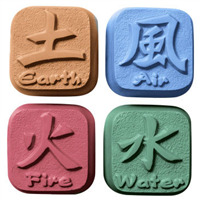 In Feng Shui each season correlates with an element: fire for summer, metal for fall, water for winter and wood for spring. As the seasons change, it is thought there is a shift in energy. 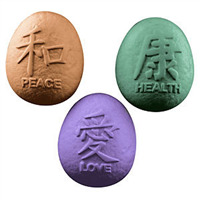 The Feng Shui Soap Mold has four designs, one for each season to represent this energy shift. 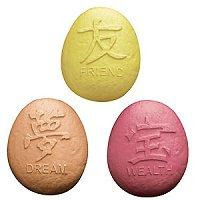 Each design has the season written in English as well as in Chinese characters. Bar Depth: 7/8" Bar Length: 2 3/8"